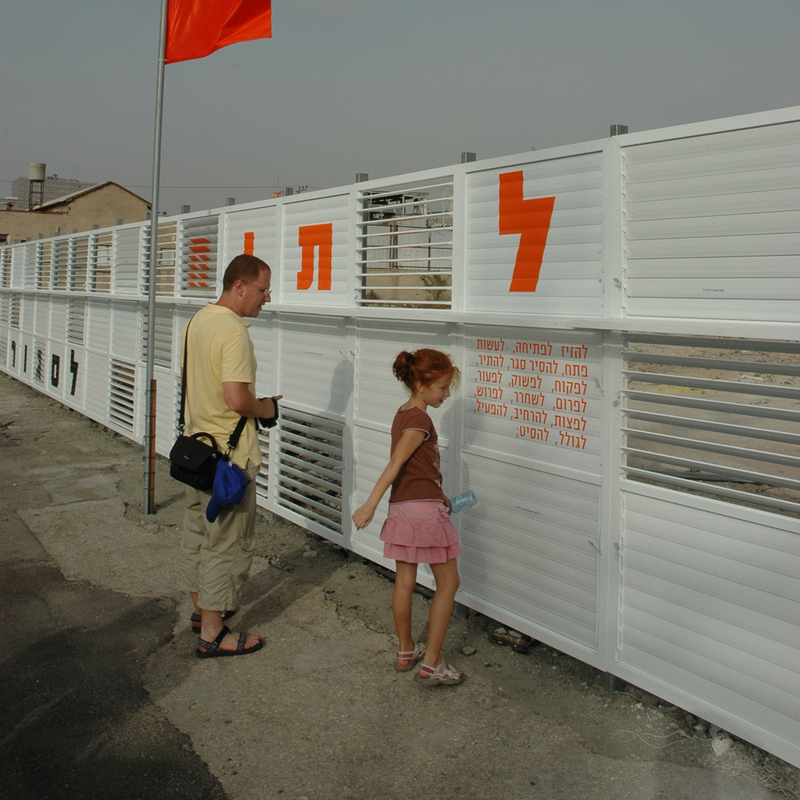 Shutter Fence offers an alternative to the common corrugated fence which surrounds construction sites in Israel. The mobile fence, which opens and closes, is a dynamic and ever-changing façade. Like the common fence, it functions as a barrier, demarcating and blocking the passage into a construction site; but unlike the opaque fence it allows for examination of the site. Controlling the shutters offers the residents of the city transparency specifically with regard to the site but also in terms of overall construction and how it affects the public sphere. Using the shutter, an element borrowed from the private, personal realm, raises questions concerning ownership of that fine line between private and public that is created from the very action of erecting a fence. 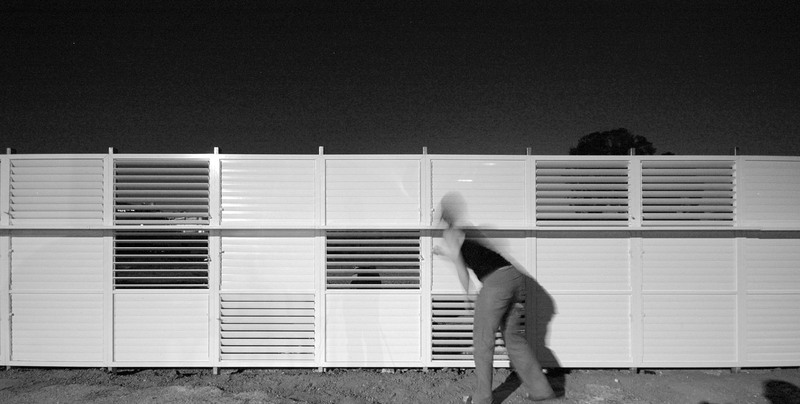 “Shutters Fence” was developed as a modular system on a basic unit. It can be placed at any given construction site as an independent system that delineates the whole construction site, or used together with existing corrugated fences. 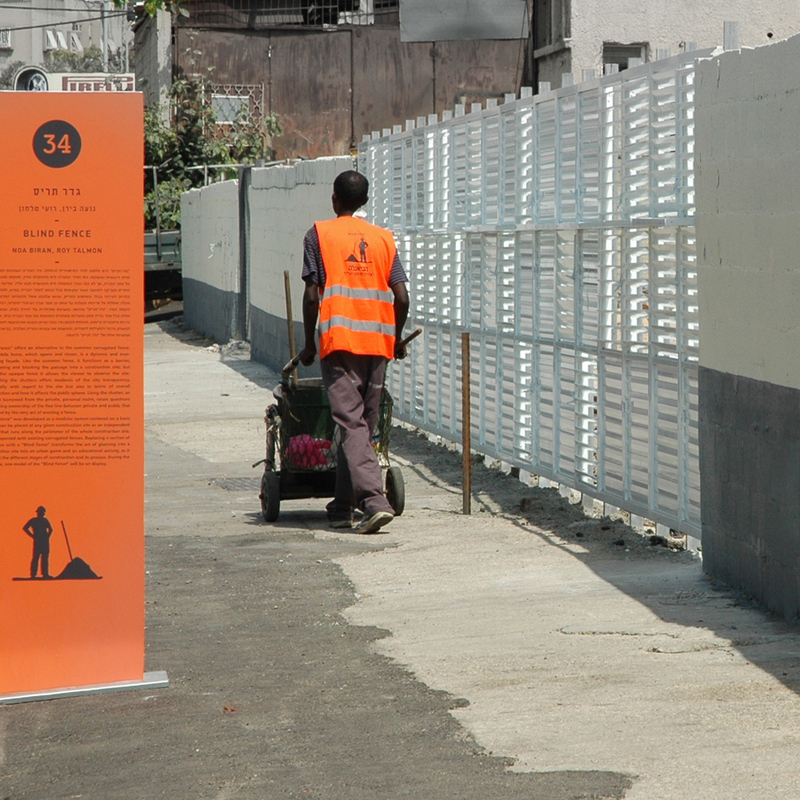 Replacing a section of the fence with the “Shutters Fence” turns glancing into the construction site into an urban game and an educational activity, since it exposes the different stages of construction and the construction process.